Anchor Hocking 4pc Bake 'N' Take Set Only $9.99 Shipped (Reg. $19.99)! You are here: Home / Great Deals / Anchor Hocking 4pc Bake ‘N’ Take Set Only $9.99 Shipped (Reg. $19.99)! 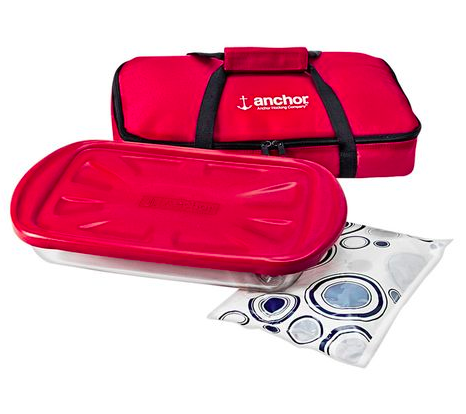 Anchor Hocking 4pc Bake ‘N’ Take Set Only $9.99 Shipped (Reg. $19.99)! Here’s an awesome deal for those of you who love bringing your signature dish to potlucks and parties! You can get this Anchor Hocking 4pc Bake ‘N’ Take Set for only $9.99 (Reg. $19.99) with FREE store pick up! Shop Your Way members will also get 100 points for this purchase!